Marvellous Magnesium: What Does it Do for You? Magnesium is an essential mineral found in our bones and tissues. It helps the body regulate the hundreds of diverse bio-chemical reactions that take place inside us every day, lowers cortisol production and helps to stabilise hormonal imbalances. Cortisol is the stress hormone we release when scared, stressed or under attack. High cortisol levels wreak havoc with every area of the mind and body; in particular the skin, creating acne-like symptoms and uneven skin tone. Magnesium helps regulate hormone imbalances, but shockingly it is estimated that 80% of the population are magnesium deficient. Magnesium has clinically proven muscle relaxant properties and it has the ability to balance and reduce the release of the brain chemical NMDA, which is a pain carrying neurotransmitter. 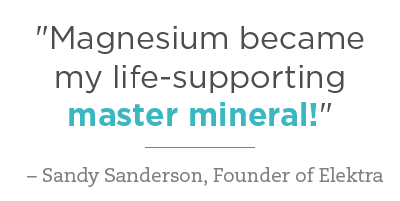 This is why many people use magnesium to treat ailments such as osteoarthritis, back pain and muscular aches and pains. The experts behind Elektra Magnesium have completed extensive and detailed research to create their incredible range of magnesium chloride skin care products, formulated to support you both inside and out. Magnesium can be hard to come by in food, and whilst foods such as green leafy vegetables and nuts and seeds are considered to be rich in magnesium, this mineral can only penetrate the crop if it exists in the soil already. Due to changes in farming, whereby the size, growth rate and pest resistance of crops supersedes their nutritional value, levels of magnesium in our food have dropped considerably over the last 10 years. It is becoming apparent that a different approach may be needed when it comes to getting the fourth most important mineral in to your body. Why Use a Transdermal Magnesium Supplement Over an Oral Magnesium Supplement? You may have considered taking an oral supplement of magnesium, and it’s great that you are thinking of ways you can boost the levels in your body! Oral magnesium supplements, however are more difficult for your body to absorb and they can have a laxative effect, meaning a lot of the magnesium you put in, ultimately comes back out before your body has absorbed it. Any traces that do get through the gut wall can take several hours to reach muscle cells. Elektra Magnesium has been formulated to be acceptable to your cells meaning it is absorbed in to the body quickly and fully, and once it’s in, it stays in and works its magic! By using this cream, or any of the Elektra range you will be getting nutrition via the skin. Due to the way in which Elektra Magnesium creams are produced, you will not experience the stinging or itchiness people often report with the use of a magnesium-based skin product. You may experience a tingling sensation as the magnesium salts deliver an ionic bio-electric charge when applied, but no stinging or itchiness should be felt at all. Developed in Australia where melanoma skin cancer rates are higher than anywhere else in the world due to extreme levels of UVB exposure, this wonder cream has been formulated to treat skin that is prone to dehydration, sun damage, wrinkles and insect bites. Facebook reviewers give Elektra Magnesium an incredible 4.9 out of 5 stars for the product efficacy at tackling issues such as osteoarthritis, muscle pain, lower back muscle spasms and shoulder pain. Starting their magnesium revolution in 2009, the creators of Elektra Magnesium are the proud receivers of the Best New Natural Beauty Product Award at the Natural & Organic Awards, Asia, 2018. This award was very much deserved after years of research in to transdermal magnesium, and continuous hard work in creating a product that will help people suffering from any number of skin and/or muscular ailments. The team behind Elektra Magnesium wanted to create an amazing product, that is not only guaranteed to provide relief from ailments but is also accessible to those who can’t afford expensive skin care products that promise the earth but rarely deliver. The Herbal Elektra Magnesium Cream is made using 100% food grade magnesium, it is completely free of any chemicals and is safe for every skin type. Those with thinning skin will benefit from the richness of this thick, nourishing cream with its non-greasy formula. 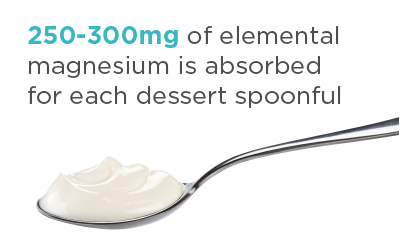 With each tablespoonful of Herbal Elektra Magnesium Cream, you will be feeding your body 250-300mg of elemental magnesium; equivalent to the average daily recommended magnesium requirement. Created using scents of ylang ylang, patchouli and rose geranium, this cream gives off a natural and calming aroma that is great for promoting sleep at bed time, or to create a relaxed and tranquil environment, perfect when receiving a massage to relieve aching muscles and bones. When massaged in to the skin, the magnesium chloride is absorbed in to the body where it can repair skin cells as well as tackle muscular and skeletal issues in the area it is applied. Stress No More are the only official UK stockist of Elektra Magnesium. Do not purchase counterfeit products, ensure you are getting the highest quality, original magnesium chloride products by purchasing from Elektra Magnesium’s chosen UK distributor. Purified water, 15% Elektra Magnesium chloride hexahydrate, Butyrospermum parkii (shea) butter, Cetearyl alcohol, Prunus amygdalus dulcis (sweet almond) oil, Macadamia integrifolia seed oil, Prunus armeniaca (apricot) Kernel oil, Cocos nucifera (coconut) oil, Ceteareth-20, Lecithin, Cannabis sativa (hemp) seed oil, Mangifera indica (mango) seed butter, Theobroma cacao (cocoa) seed butter, Tocopherol (Vitamin E), Azadirachta indica (neem) oil, Suprapein*, Xanthan gum, Potassium sorbate, Pelargonium capitatum (rose geranium) oil, Cananga odorata (ylang ylang) flower oil, Pogostemon cablin (patchouli) oil, Alpha lipoic acid, Citric acid. *Note: Suprapein comprises extracts of: oregano leaf, thyme, cinnamon bark, rosemary leaf, lavender flower, lemon peel, peppermint leaf, golden seal root and olive leaf.